Our Student Ambassadors scheme aims to promote young people’s rights and the UNCRC in schools. Make sure other pupils know about young people’s rights under the UNCRC. 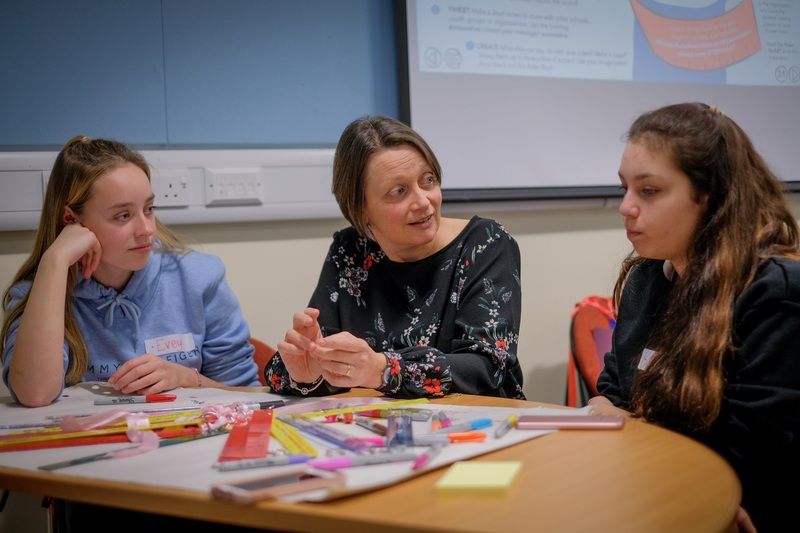 Information collected through the scheme feeds directly into our work, meaning that our Student Ambassadors have a real impact on children’s rights in Wales. Let your pupils know you’re a Student Ambassador school and hold an election to select your Ambassadors. Your Ambassadors can get started with their jobs straight away by raising awareness of children’s rights and the Children’s Commissioner. The resources on our resources page will help them. In October we’ll send you the first of our Rights Missions for the year. Celebrate your Student Ambassadors’ work with schools across Wales in our Twitter #RightsHour, every Friday lunchtime (12-1pm). Use the hashtag to share your positive work on children’s rights and we’ll RT your good work to our followers.